Integrated Business Planning for Finance (IBPF) function in Simple Finance allows to perform financial planning to integrate with SAP ERP user interfaces, workflows, and replace the existing features in SAP ERP system. You can remove the limitations during planning in SAP GUI. Advantage of HANA views that support direct real-time access to ERP Master Data and FI-CO document tables. 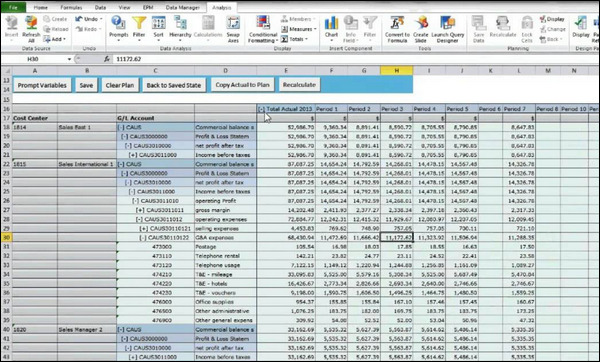 It provides significant functions with templates to cover multiple planning scenarios. Allows organizations using traditional financial planning within ERP to rapidly implement while protecting their existing investment. Seamless upgrade feature − CO Historic Plan Data can be migrated to the new solution (currently not GL). Integrated FI and CO – top down and bottom up planning capabilities, integrating data from high level expense to most detailed market segmentations.